FREE Ten Minute Yoga book – perfect for stress relief, increasing focus, and renewing yourself in just ten minutes! Grab your copy today! Feel free to share, and I’d love to hear your thoughts on it! All 20,000+ pages & images on this WineIntro site were written and created by me - site owner and author Lisa Shea. I've been writing about wine online since 1998 and created WineIntro in 2004. Please join me in the fun, relaxing, enjoyable world of wine! 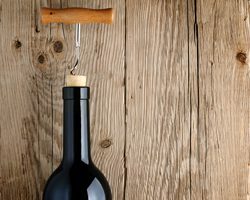 Is Old Wine Safe to Drink?